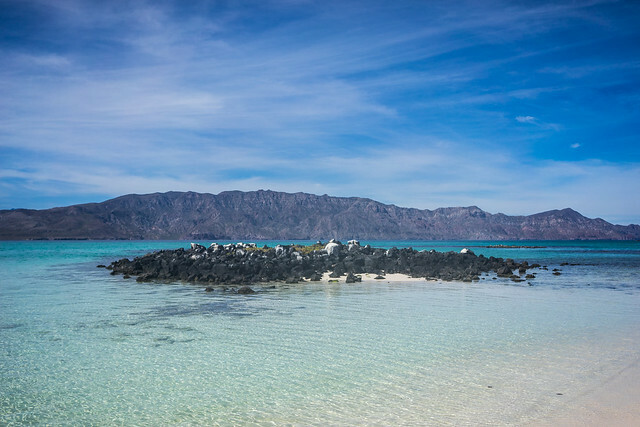 Friday morning we were off on a little boat to Isla Coronado, the closest of the Loreto islands formed by volcanic rock. We first stopped beside a high cliff on the southeast side of the island. 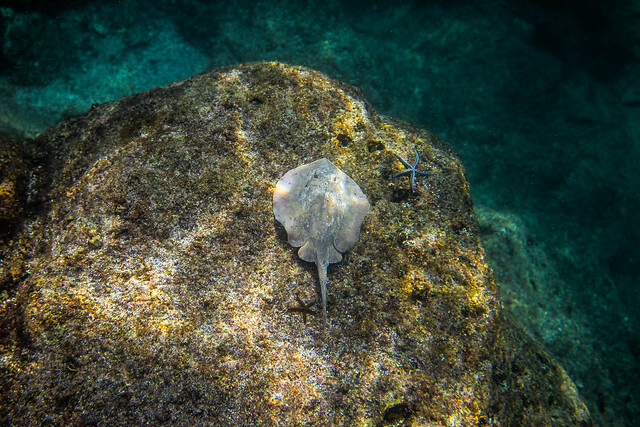 The water was freezing, but I managed to see another stingray sunning itself on the higher rocks before our guide rounded us up. 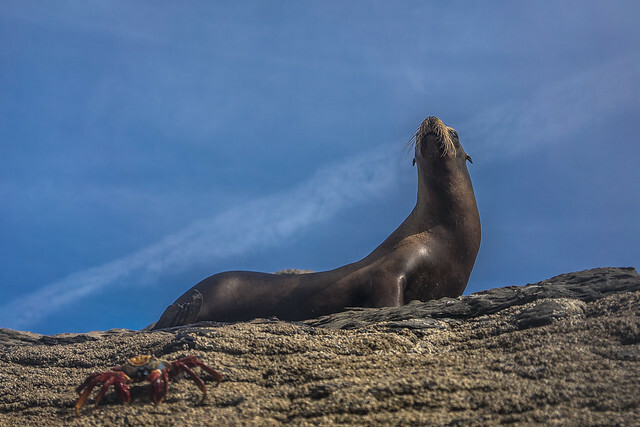 At the northeast tip of the island, we observed a colony of sea lions basking in the sun while red crabs scurried to the water’s edge. 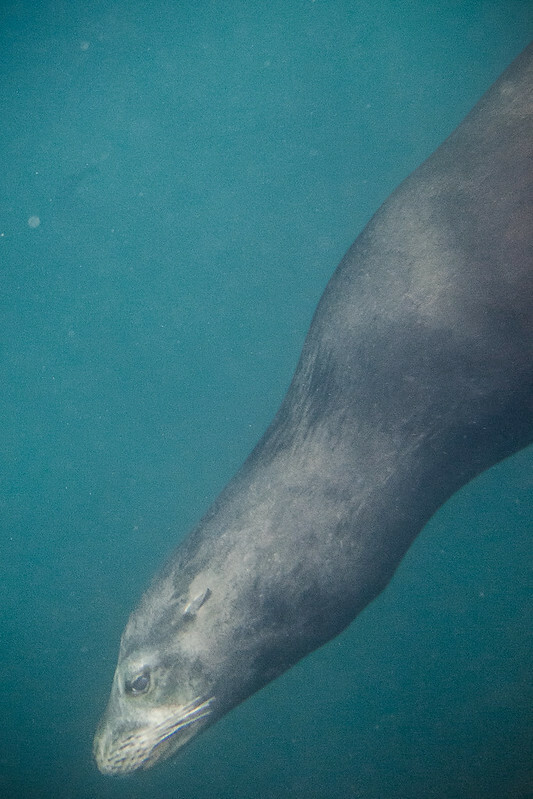 In the water the outcropping turns into a steep cliff going down where light cannot return, but curious sea lions do. There weren’t as many in the water as in La Jolla, but because of the clearer water (no sand, seaweed, or children in floaties here) it was much easier to watch the lions swim up and check you out. 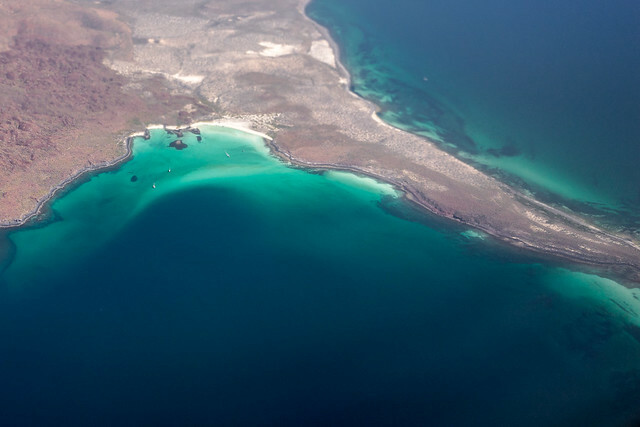 The crashing waves of the Sea of Cortez against the craggy rocks at the tip of the island only a few feet away reminded snorkelers of the inherent danger. After less than ten minutes we were pulled out so we could go to Playa Coronado, a series of beautiful white sand coves on the southwest side of Isla Coronado. 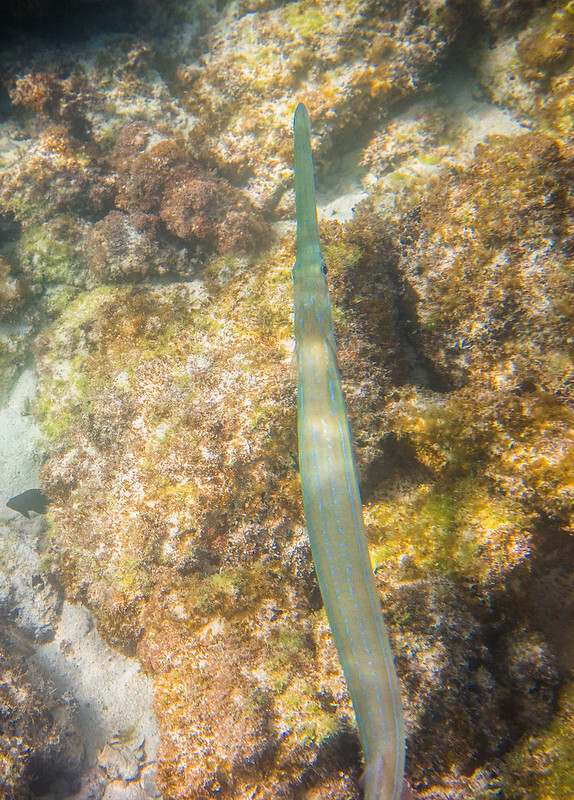 Lunch was waiting for us on the beach, and tropical fish waited for us in the coral. I took so many pictures my battery died. Back in town, we had dinner at Orlando’s, which has great strawberry margaritas and even better fish tacos. After we’d ordered I saw the waitress bring another table a plate of Orlando’s Shrimp and made a note to try it the next day. On our last day, we lazied around town looking for souvenirs until time for our horseback tour. 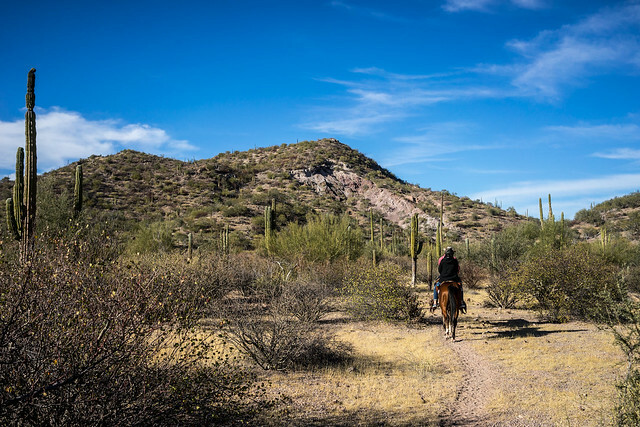 The two-hour tour meandered around the desert east of Loreto. Halfway through the tour (and after shots of tequila) a wild donkey decided to join us. Back in town we had dinner at Orlando’s again and tried his namesake shrimp dish. If you can tell me somewhere in LA where I can get shrimp split and filled with ham then wrapped in bacon, fried and served up with spicy cheese sauce (and margaritas), let me know. Now! After dinner it was dark so I dropped Sam off at the hotel and went back to the pier. 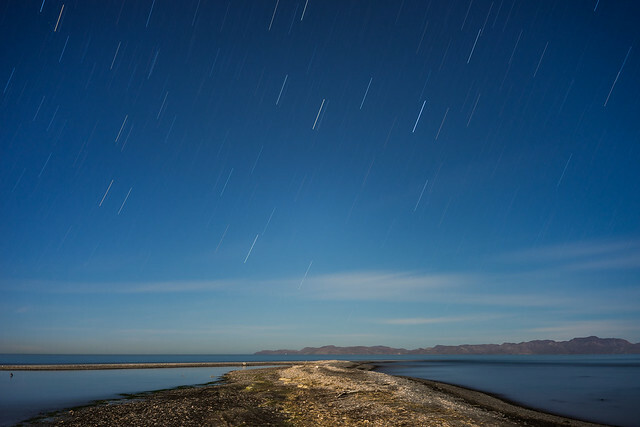 I walked out on the sandbar connected to Loreto’s beach and took shots of the ocean and stars. 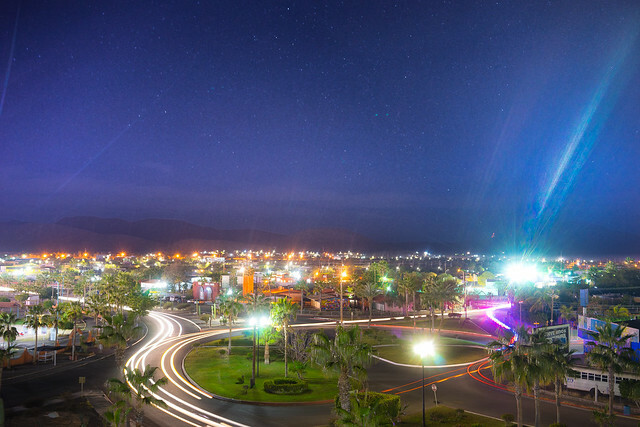 Back at the hotel, I noticed a little access door to the roof had been left open so I crept out to take a few shots of the town until a maid noticed me. The next morning we did our final souvenir sweep and ate breakfast at Pepeginas, which, I swear has one of the best omelets in existence. Ask for the mushroom queso omelet and combine it with chorizo. It’s the best thing in Loreto.